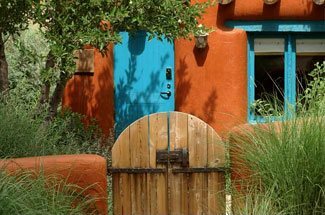 Many consider fall to be the best time of year to visit Santa Fe. Not only are there awe-inspiring colors dotting the landscape, but there are less people, as the summer crowds have thinned. The weather is crisp and clear, with highs getting up to the 50’s and 60’s, and lows plunging down into the 20’s throughout the month of November. This fall bite to the air is ideal for hiking, biking and other outdoor adventures. Imagine, after a day spent in the chilly outdoors or maneuvering from shop to shop, unwinding in a luxurious spa or by a warm fire with a glass of New Mexico wine. As we reach the end of fall and begin to fade slowly into winter, so too will the bustle come back to Santa Fe as we gear up for the wonderful Holiday and ski seasons soon upon us. 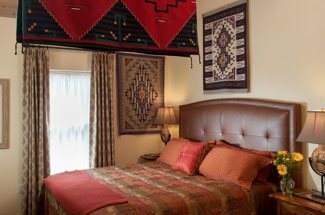 Book your room at our romantic Bed and Breakfast today for your last-minute fall-inspired romantic getaway to Santa Fe. If you want something a little more active, pack a picnic and take a short drive from the Santa Fe Plaza up Artist Road/Highway 475 to the Dale Ball Trail System, where you’ll find a variety of trails through the beautiful foothills of the Sangre de Cristo Mountains. 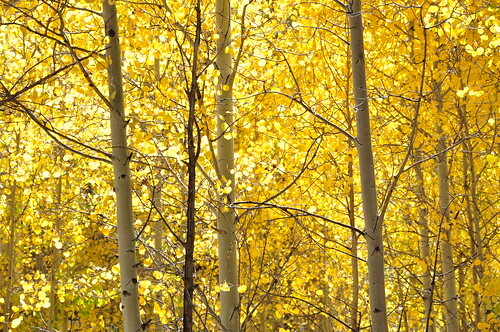 If you’re really up for adventure, head even higher to the Aspen Vista trailhead, where you’ll enjoy a prime fall walk through a huge stand of aspens that cover the trail in yellow leaves for the first several miles of the trail’s 7 mile length. Aftewards, experience the healing aspects of Santa Fe at one of the day spas, where you’ll be able to soak, massage or detoxify the stress and pain away. Escape the vibrant city as you climb the stairs to Ten Thousand Waves, luxuriate in the services at ShaNah Spa and Wellness Center, or let your stresses drift away as you sink into the hot mineral springs at Ojo Caliente. No matter how you choose to spend your romantic getaway in Santa Fe, one thing is for sure: You will leave feeling refreshed, rejuvenated, and newly in love. Book your room at our luxury Bed and Breakfast today!